Kaisercraft Tea party 13, 14 and 15 .. the very last! 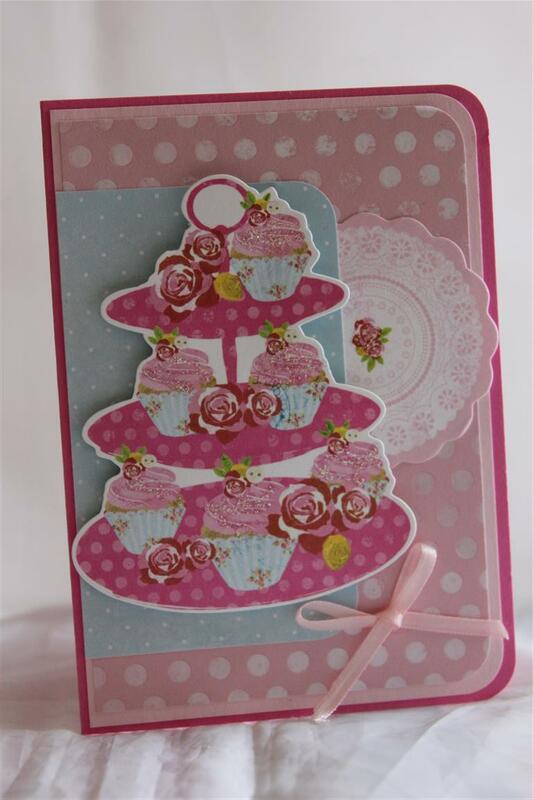 Three cards tonight to finish off this range from Kaisercraft – tea party, and on these cards I have used a mix of the 6″ pad, some 12 x 12 sheets and collectables.Additional bits include a doily, rhinestones and ribbon. a very late post tonight but it has been a busy day and I am glad to be heading to bed! til tomorrow…. 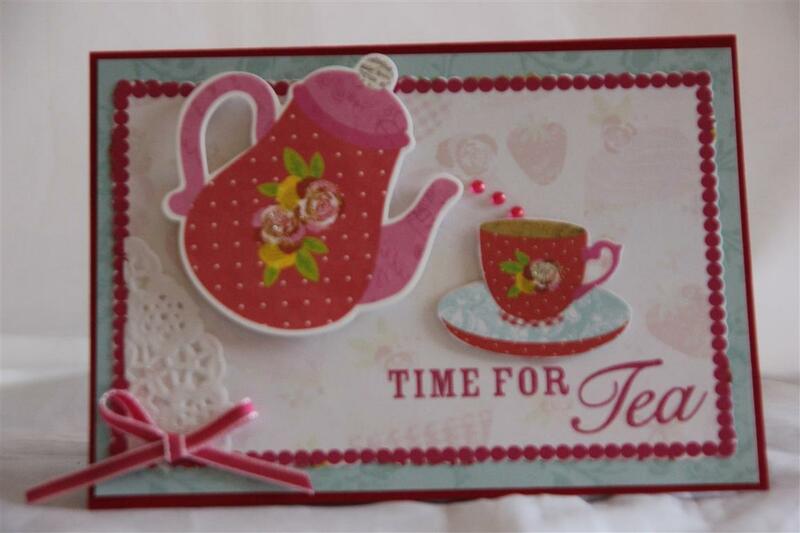 Super quick post tonight while tea is cooking – Kaisercraft tea Party 6″ paper pad and matching collectables, stampin up cardstock and sentiment stamp,and only extras a doily and ribbon bow.. til tomorrow….. This week a quick re visit of a few favourite paper collections. 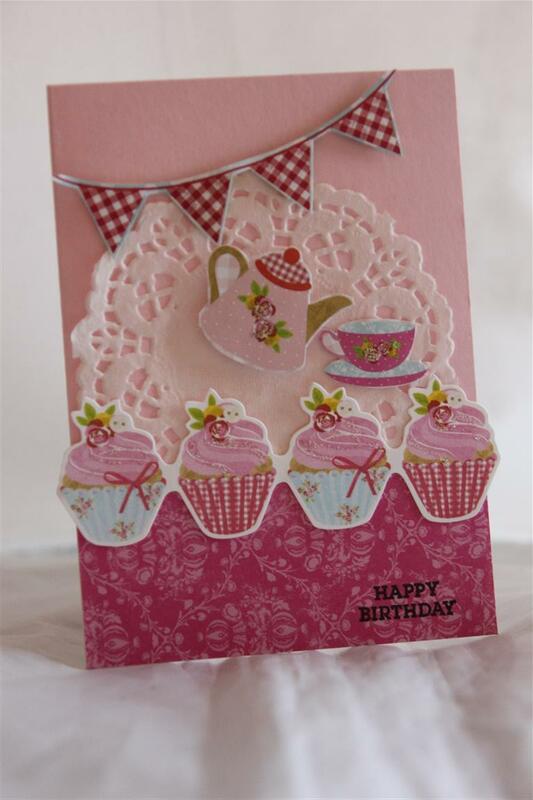 This one is Kaisercraft Tea Party. 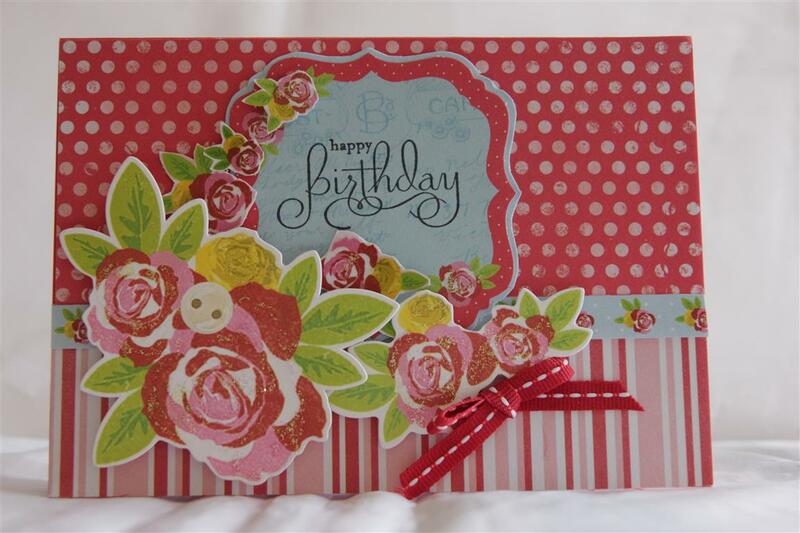 I used the 6″paper pad on both cards as well as the matching collectables, and stampin up cardstock and sentiment stamp. 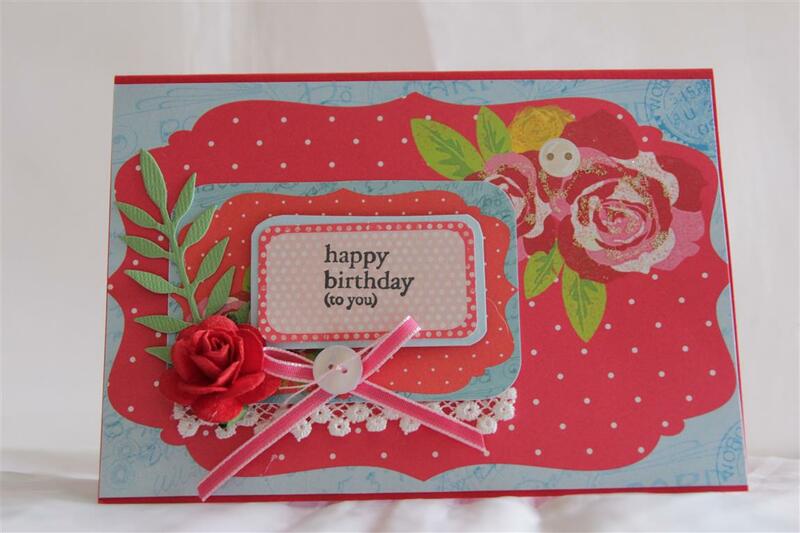 that was it for the top card, and for the bottom card I added a doily, ribbon bow and flower.I taught a class this morning,and sitting on my desk at the moment is some simple stories paper, waiting for me to get back to it! Til tomorrow…. Very quick post tonight as tea is cooking as we speak! 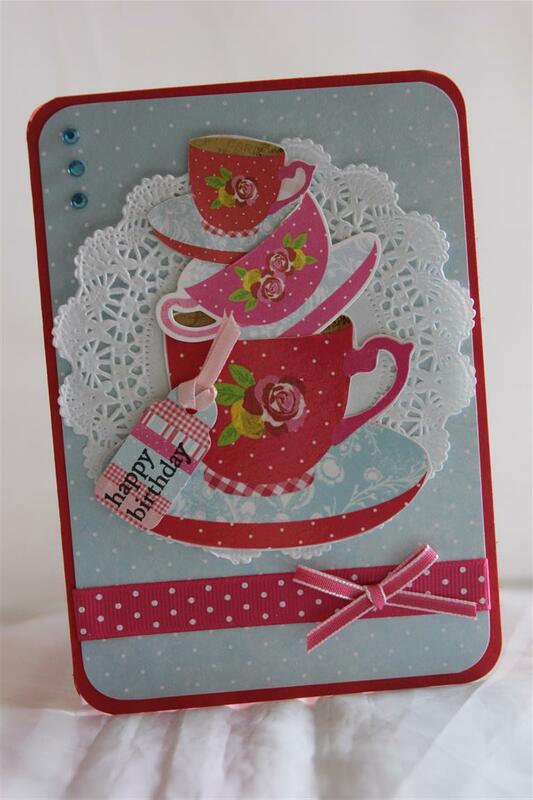 This is the last of our Kaisercraft tea Break collection, and here I have used the paper pad . 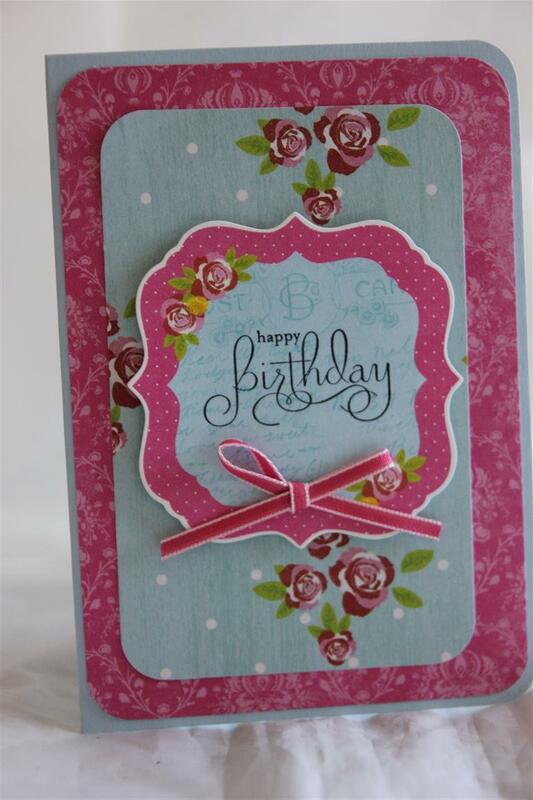 I die cut the shape of the card with a die from Stampin Up – the name escapes me for the moment – I was over at my sisters place and she had it, so I did a fair amount of die cutting with it while I was there!it’s a very effective die and I have made a lot of mens cards with it , which I am sure we will get to at some stage!By then I may know the name of it. 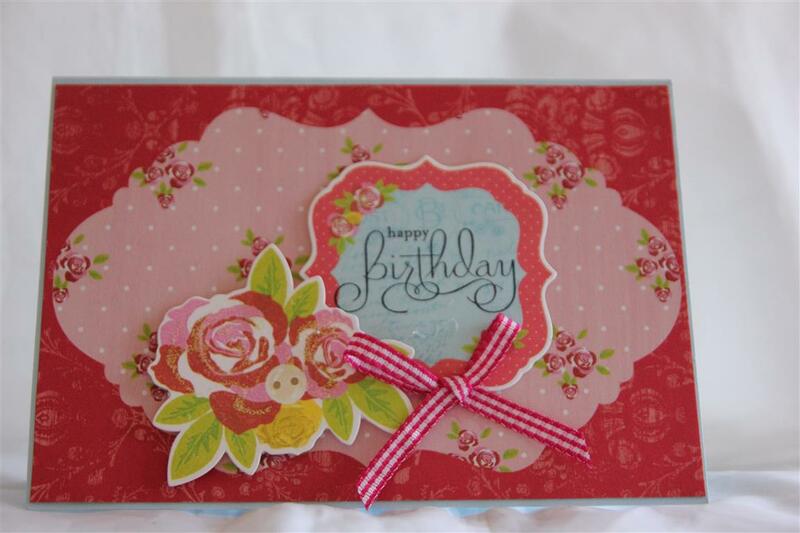 A big box arrivced in the post today, so after tea I will have great enjoyment going through it all – I bought a lucky dip from Prima so it’s filled with lots of papers, flowers and assorted embellishments… ah bliss…. Til tomorrow…. Anolther odd one that didn’t get posted when I made it! Kaisercraft Tea party 6″ pad and matching collectables.I( did a lot of layering on this one, using the papers from the pad and some stampin up cardstock. 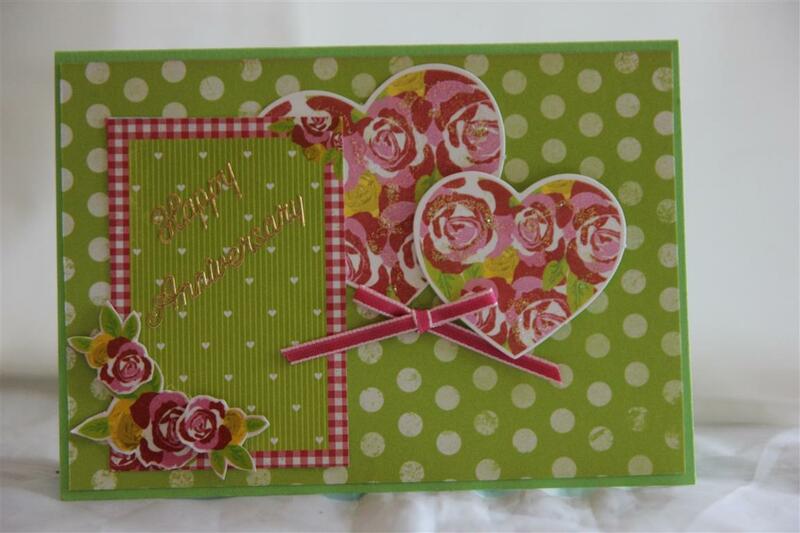 I rounded all my right hand corners, and added a ribbon bow to finish.Very hot day here today, so no crafting this evening – it’s going to take all my will power to stand in the kitchen to cook dinner! til tomorrow…. two cards today to finish this series . 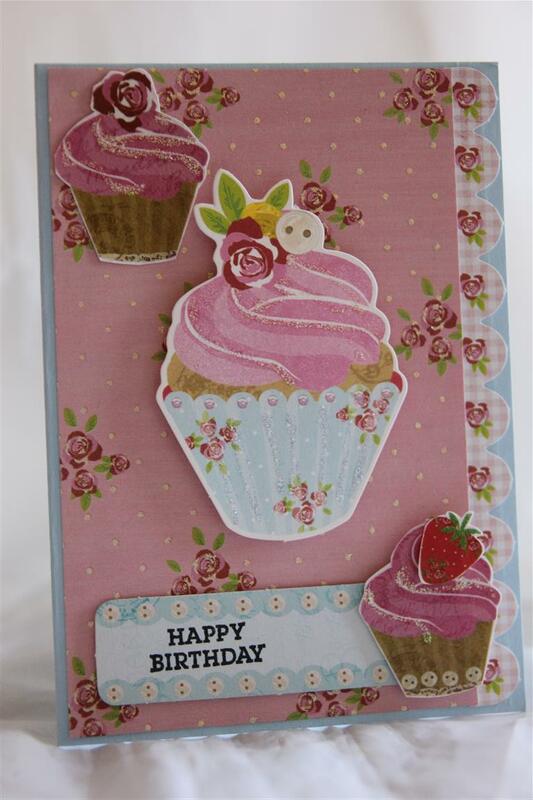 The top card uses the 12 x 12 papers and collectables from Kaisercraft Tea party range, and I added a ribbon,button and flower on that one. 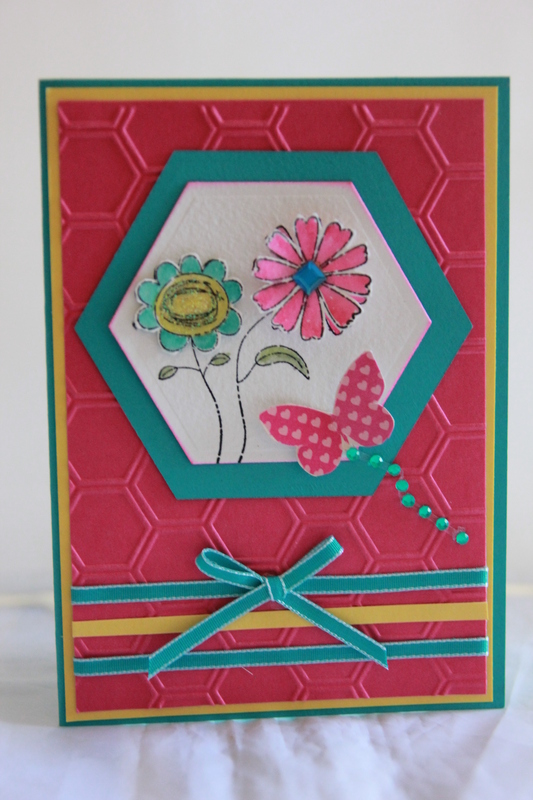 The second card uses paper from the 6″ pad as well as the matching collectables and I added a ribbon and kindyglitz. Tomorrow something different, although I have enjoyed these and can’t wait til I have time to go back and make some more with this paper.Til tomorrow…. 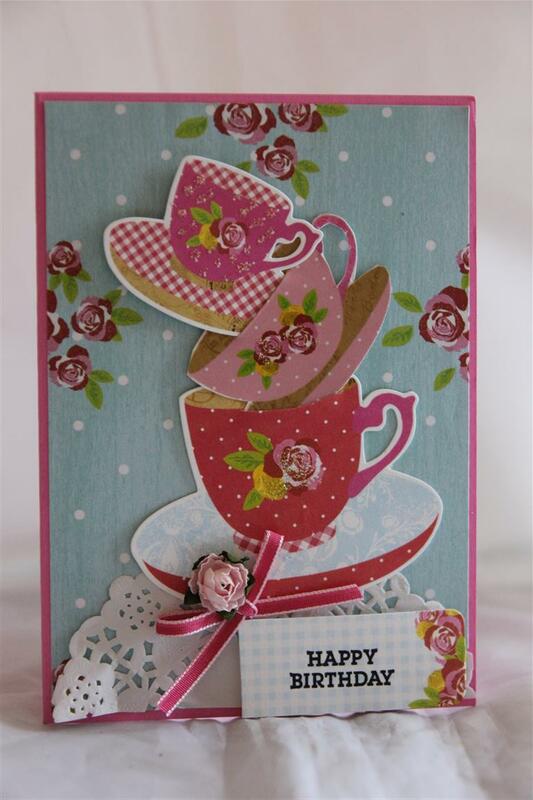 This ones a favourite because i do like tea cups on cards, so here I have made a whole stack! 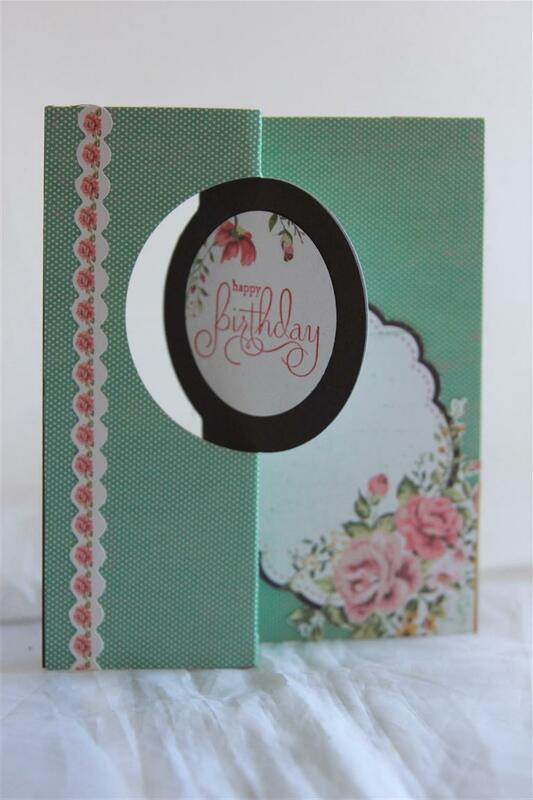 The paper is Kaisercraft Tea Party from the 6″ pad, and the tea cups and tag are from the matching collectables pack. I added a doily in keeping with the whole afternoon tea theme, and a few different ribbons to finish. I also rounded all my corners with the corner rounder punch. A very productive day today, all orders up to date, and december lessons if not made up at least planned out, so now its time to make a few cards to put in my market boxes! til tomorrow….